NICOLE RICHIE NEWS: Nicole Richie and Joel Madden to tie the knot in January ..? 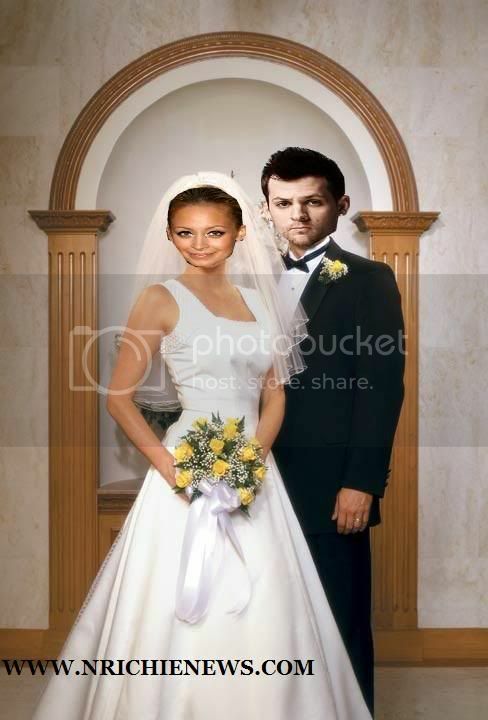 Nicole Richie and Joel Madden to tie the knot in January ..? It is rumoured that Nicole Richie & Joel Madden are set to marry on their daugther's first birthday - 11th January ! The couple - who welcomed Harlow into the world on January 11 2008 - are reportedly keen to tie the knot on the landmark date to show their child how much they love each other. A friend of the pair said: "They want to set an example for Harlow. Nicole and Joel are doing this to seal their love legally. They want the ceremony to coincide with Harlow's first birthday and be one big joyous occasion for everybody." Socialite Nicole - whose adoptive father is singer Lionel Richie -and Good Charlotte rocker Joel are planning to sell pictures of the ceremony to a magazine. However, the kind-hearted couple intend to donate any money they make from their special day to charity. The pal added: "They've spoke about giving any money they get for photos of their wedding to Beyond Shelter, a homeless charity in Los Angeles that they work with. They also plan to give any presents away as well." Nicole was recently reported to have been inspired to adopt a child after spending time with homeless children through her work with Beyond Shelter. A source close to Nicole said: "Nicole is seriously looking into it and asking a lot of questions about adopting. "Nicole has been visiting Beyond Shelter in Los Angeles two or three times a week and spends a couple of hours with homeless children. She loves being around them." Wow, well it does all make sense it they do intend to marry on Harlow Madden's birthday. I guess we will have to wait and see!! Don't you think they will make a lovely married couple, you can just tell from the photo above! Birthdays are gonna be a painful affair if they romance ever ends then!